Transitions happen in March. Daylight savings time starts (March 12). We move from winter to spring (March 20th). Many of us get the itch to clean and de-clutter or start a garden project. We are tired of the short days and cold, dark nights associated with fall and winter. We are ready for change. Here are some fun finds from around the web to inspire simple (mostly) change this month. We've probably all heard it, "Eat seasonally." Seasonal eating benefits your pocket book, your health and your taste buds. 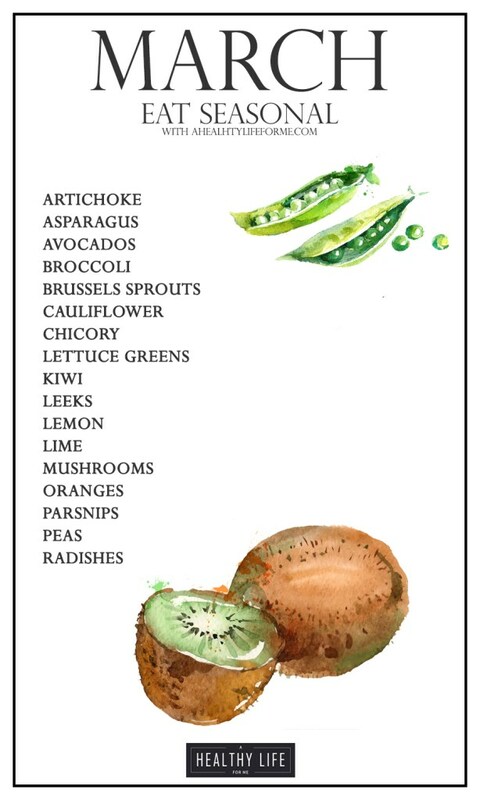 Over at A Healthy Life for Me, blogger Amy has compiled a list of seasonal produce in a beautiful infographic. Save it on your phone or print it off and add it to your planner to make meal planning that much easier. If this method eases your meal planning stress, Amy's site has eat seasonally guides for every month. Check them out. 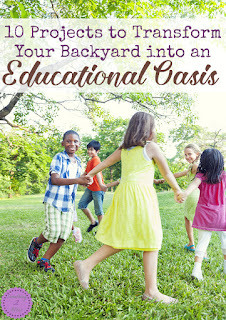 When the windows tease at even a remotely nice day, I'm itching to get out of the house and into yard While there are many things I enjoy about our existing space, I'm still drooling over Somethings 2 Offer's 10 Projects to Transform Your Backyard into an Educational Oasis. Most of these projects are simple. I'm personally in love with the outside reading nook, the colorful backyard hopscotch and I know the water wall would be in constant use by my youngest. While I love the idea of spending a bunch of time outside, I know that we are still in the season of unpredictable weather and still quite a bit of indoor time. Staring at these same walls has made me a bit anxious for change. 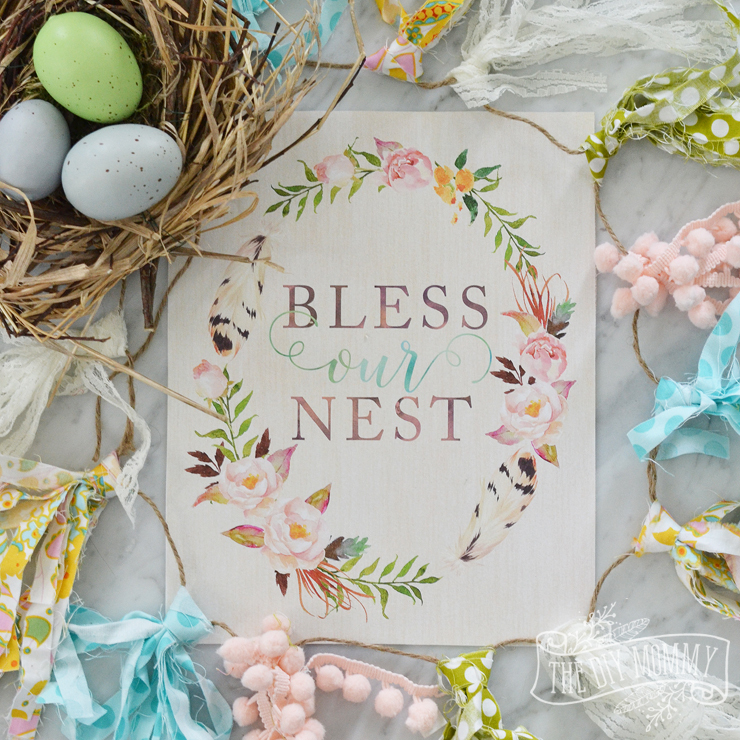 If you are looking for a quick pick me up to your decor, The DIY Mommy has this adorable spring printable with a message that fits this early season of motherhood. Really want to change your space? 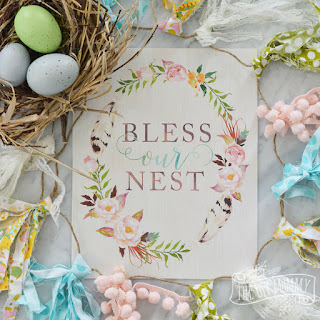 Try The Nester's ideas for how to quiet your space. She has a relatively simple, 5 step process of how to reconnect with your chosen room without spending a dime. 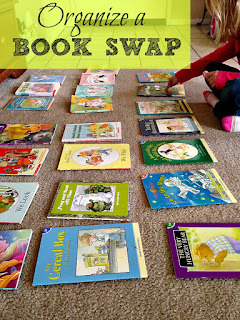 I think every parent that reads to their kids on a regular basis has experienced it: the reading rut. The cycle of reading the same book everyday, or several times a day or even multiple times in a a row until you hate it and never want to see it again. 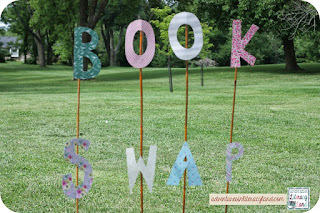 Get your kids and yourself out of a reading rut by hosting a book swap party with your friends. The main idea is that people bring books (good books in decent shape just no longer wanted) to a location. 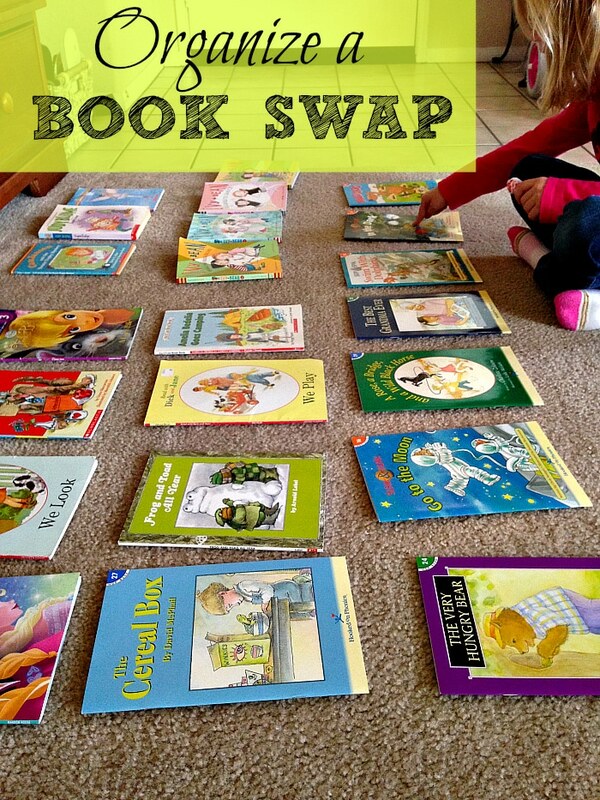 Swap books. Leave with new-to-you books. You can keep it super simple or make it more involved with snacks and decor etc. Here are a couple examples of people hosting book swaps to inspire you more.